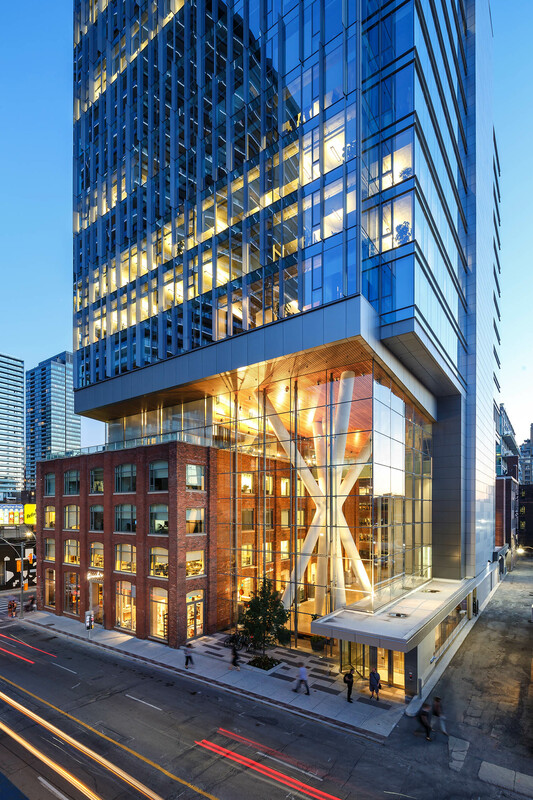 Located in downtown Toronto, the complex is an integration of two existing historic buildings with a new high-performance office building and the creation of a stunning 75-foot high public atrium. 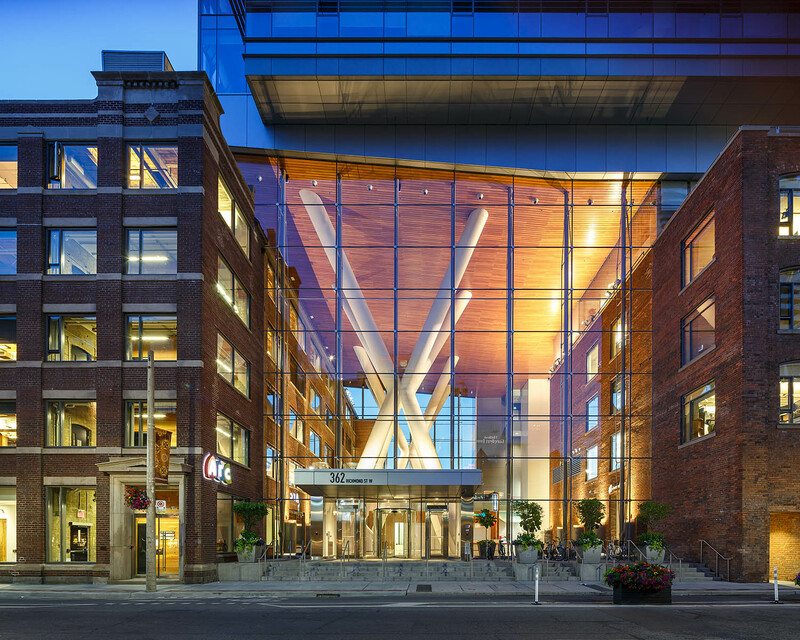 The project was the result of one bold idea that preserved the industrial heritage of the neighbourhood, and created a grand entrance to the building through an atrium that connects Peter and Richmond Streets. 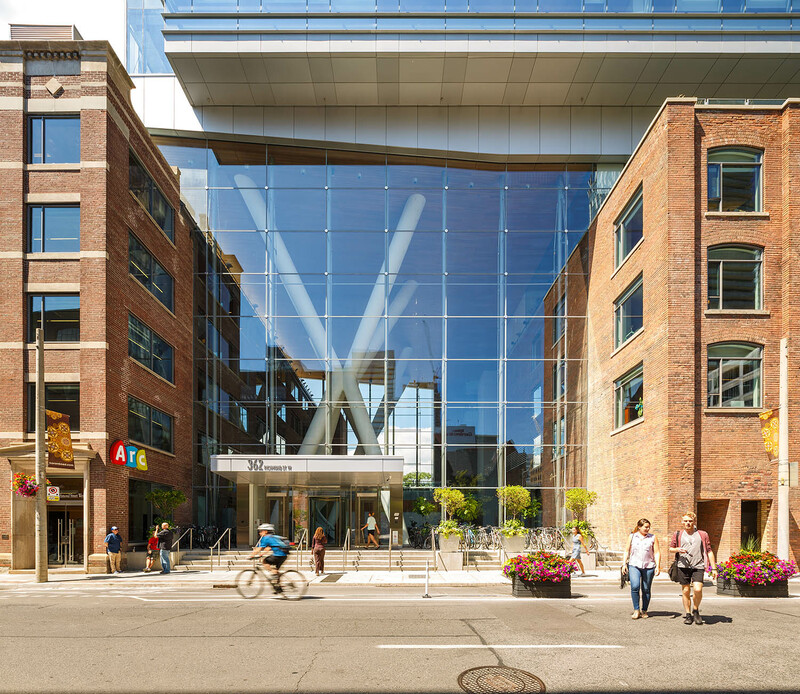 Today, the resultant space between the buildings has become an integral and active extension of the public realm. 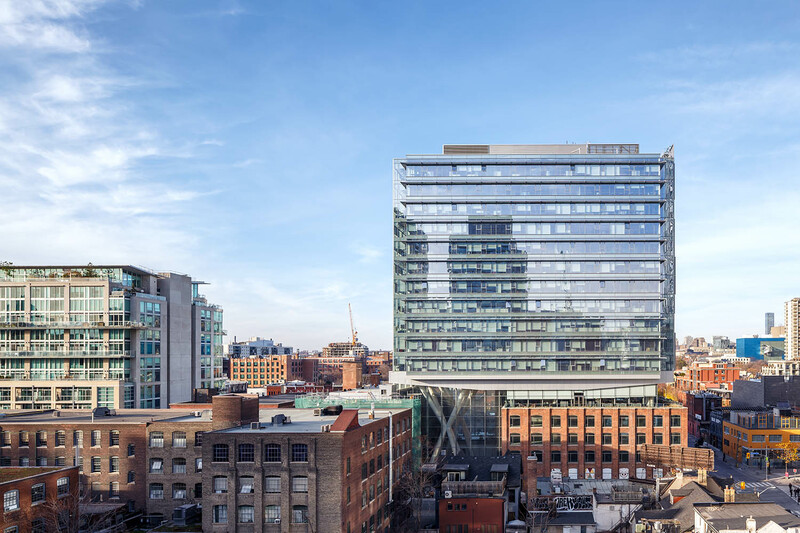 Commencing at 75 feet above the ground, the 11-storey high-performance office building is a contemporary interpretation of the historical industrial buildings on the site and in the neighbourhood. 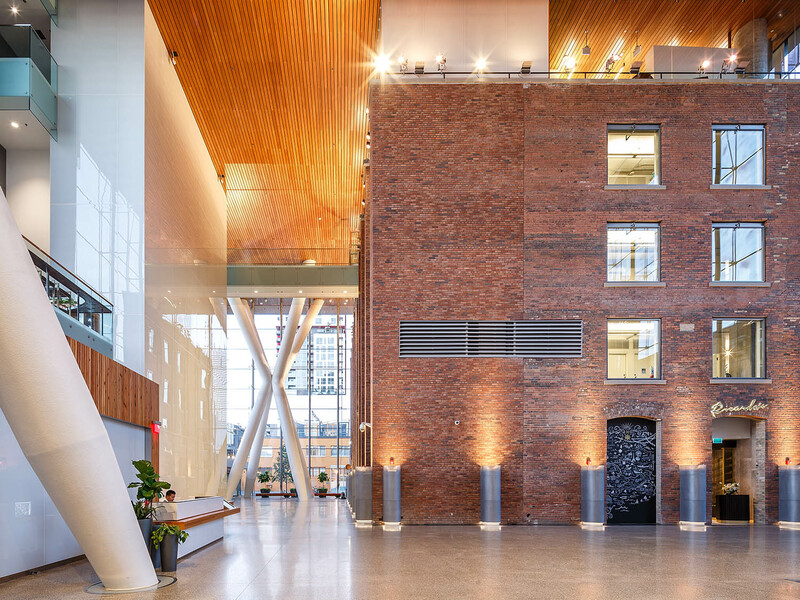 It carries the essence and positive aspects of the brick-and-beam, industrial heritage spaces, including large windows, open spaces, exposed structures, expansive views, tall ceilings, and flexible space. Inside, the new addition incorporates the latest state-of-the-art technology to provide health and comfort for its occupants including individual temperature and ventilation controls, relocatable air diffusers, interior automated light shelves, recessed perimeter heating, operable windows and glare control systems. 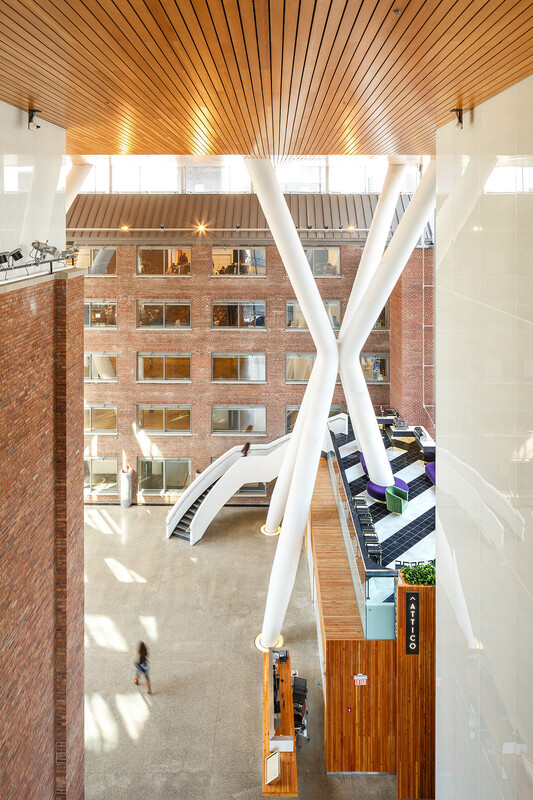 The challenge was to find an elegant structural and architectural design solution that enabled the construction of the new building. A productive collaboration between architects and structural engineers resulted in the creation of the Delta Frames. Each 7-storey tall Delta Frame structure is capable of supporting 80,000 KN of load. They support the concrete tower and provide the lateral stiffness needed to minimize other structure in the building. 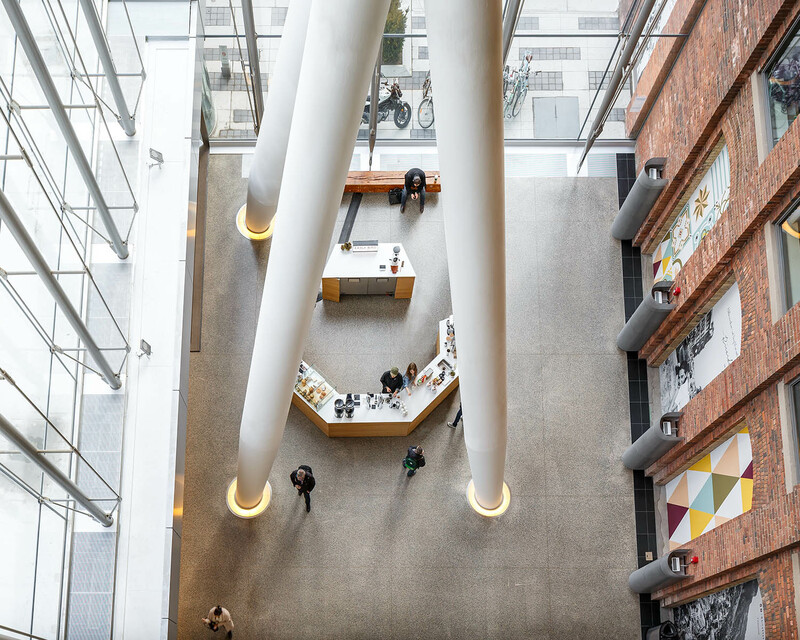 The three Delta Frames are also sculptural installations in the open atrium, enlivening this grand space. 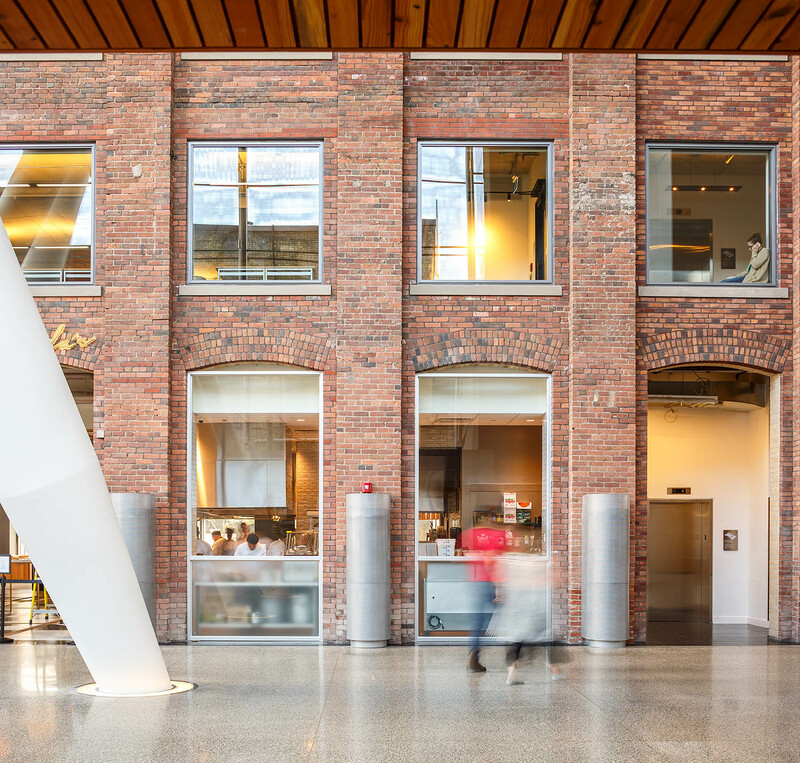 The atrium is both a lobby and an urban room for community events, exhibitions and art installations. 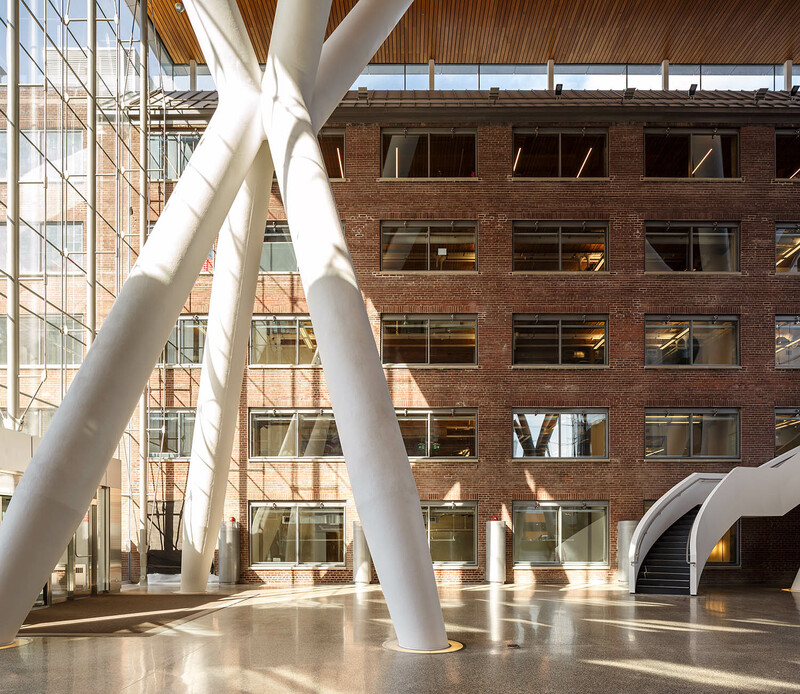 The structures have become iconic imagery for the building and the extension of the public realm. A LEED® certified project that achieved Gold level certification, sustainable features of the building include exterior sunshades to reduce solar heat gain, daylight harvesting with computer controlled motorized interior light shelves, a cistern for collection and reuse of rainwater, a modular and reconfigurable raised floor system with underfloor HVAC and cabling, and glare-free indirect lighting which automatically dims when natural daylight in the space is sufficient. 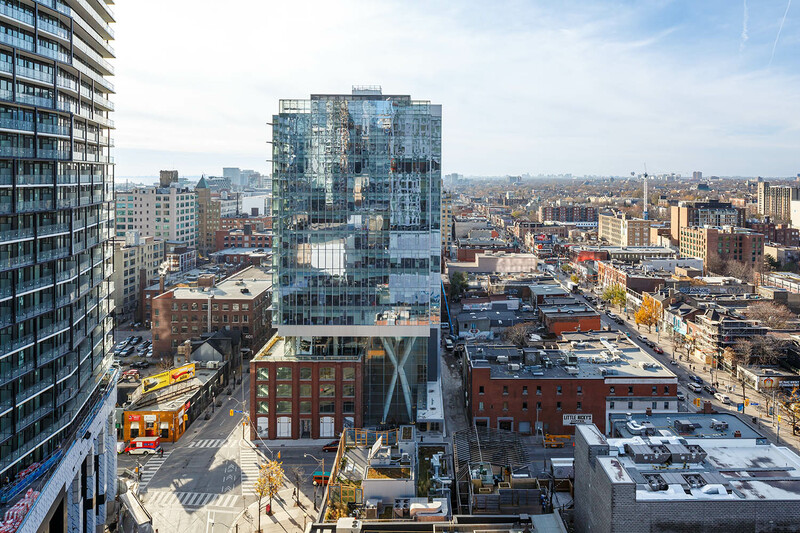 Queen Richmond Centre West proves to stand strong as an iconic architectural conversation between old and new, propelling Toronto into the future while keeping the city connected to its history.